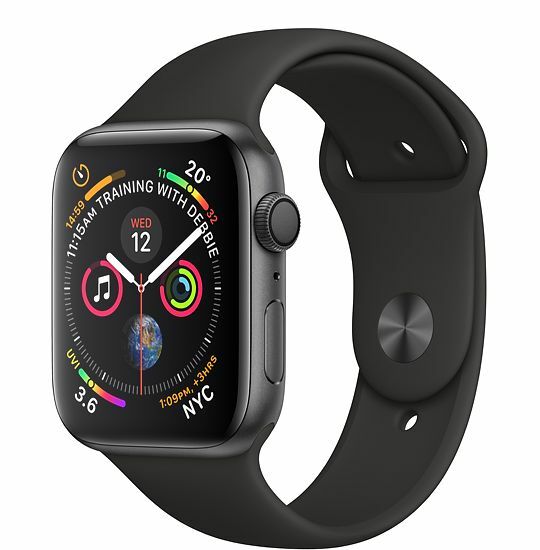 Singapore, 29 March 2019 – StarHub today announced it has begun selling Apple Watch Series 4, beautifully redesigned with breakthrough communication, fitness and health capabilities with built-in cellular. Customers can buy Apple Watch Series 4 on its own or with an iPhone bundle plan at selected StarHub Shops. Apple Watch Series 4 is redesigned and re-engineered to help users stay connected, be more active and manage their health in powerful new ways. It features a stunning display that’s over 30 percent larger, a thinner, smaller case and a new interface with more information and richer detail. Whether users are out for a run, at the pool or just trying to be more active throughout their day, Apple Watch Series 4 with cellular allows them to stay connected, make calls, receive texts and more, even without iPhone nearby. Apple Watch Series 4 with watchOS 5 brings advanced activity and communications features, along with revolutionary health capabilities including a new accelerometer and gyroscope which are able to detect hard falls. Complementing this, StarHub has launched its ‘StarHub NumberShare’ mobile service, which offers customers the most affordable and simple way to stay connected on Apple Watch Series 4 (GPS + Cellular). With ‘StarHub NumberShare’, customers on StarHub’s recently launched mobile plans can use the same mobile number on Apple Watch and seamlessly share their data and voice bundles between Apple Watch and iPhone. Unlike other offerings in the market, ‘StarHub NumberShare’ is hassle-free with zero contract commitments and no one-time fees. To give customers greater value, the add-on offers additional 1GB of data every month – a bundle that is over three times larger than the competition. To activate the cellular feature on their Apple Watch, customers can simply sign up for ‘StarHub NumberShare’ through the ‘Watch’ app on their iPhone. This requires an iPhone 6 or later with the latest iOS 12.2, and Apple Watch running watchOS 5.2. For Apple Watch pricing details, please visit www.starhub.com/apple-watch. For more information on ‘StarHub NumberShare’, please visit www.starhub.com/numbershare. For details on Apple Watch, please visit www.apple.com/sg. StarHub is a leading homegrown Singapore company that delivers world-class communications, entertainment and digital solutions. With our extensive fibre and wireless infrastructure and global partnerships, we bring to people, homes and enterprises quality mobile and fixed services, a broad suite of premium content, and a diverse range of communications solutions. We develop and deliver to corporate and government clients solutions incorporating artificial intelligence, cyber security, data analytics, Internet of Things and robotics. We are committed to conducting our business in a sustainable and environmentally responsible manner. Launched in 2000 and listed on the Singapore Exchange mainboard since 2004, StarHub is a component stock of the SGX Sustainability Leaders Index and the SGX Sustainability Leaders Enhanced Index. Find us at www.starhub.com, or connect with us on Facebook, Instagram, LinkedIn, Twitter and YouTube.